Becky Holmes works for WIDA as editor and publications coordinator. She helps WIDA content experts develop publications from initial ideas through final production and ensures high editorial standards for all WIDA publications. 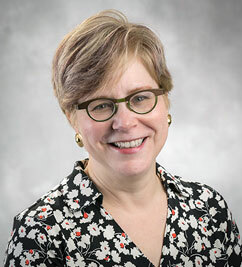 Becky has over ten years of experience as a writer and editor for various research projects at the University of Wisconsin. She has also worked as a computer applications textbook editor and as a technical writer in the computer software industry. She has a bachelor’s degree in English from Bryn Mawr College.